WASHINGTON A Federal Reserve survey says economic growth increased throughout the United States from April through mid-May, fueled by home construction, consumer spending and steady hiring. 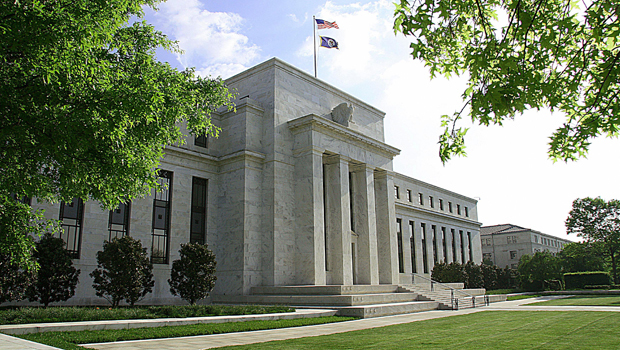 Eleven of the Fed's banking districts reported "modest to moderate" economic growth, according to the Beige Book survey released Wednesday. The 12th, in Dallas, reported strong growth. The Fed has been assessing the job market's health in considering when to start scaling back its support for the economy, including $85-billion-a-month in Treasury and mortgage bond purchases. The information from the latest Beige Book will discussed along with other economic data at the Fed's next policy meeting on June 18-19. Investors are paying closer attention to the Fed after minutes of the past meeting showed that several members favored reducing the bond purchases if the economy demonstrates strong and sustained growth. And Chairman Ben Bernanke told a congressional panel last month that the Fed could slow the pace of the bond purchases over the next few meetings, if the job market shows "real and sustainable progress." Still, most of Bernanke's testimony last month focused on the many risks the U.S. economy still faces and the help the Fed's support programs have provided. And recent data paint a mixed picture of the economy's health. Home sales and prices are rising, helped by the Fed's low interest-rate policies that have helped make mortgages cheaper. The auto industry is also on pace for another solid year, in part because rates on auto loans remain low. Still, U.S. factories are feeling the impact of weaker global growth and deep cuts in U.S. government spending that have made businesses more cautious. The Institute for Supply Management's index of manufacturing activity fell in May to its lowest level since June 2009, the last month of the Great Recession. And while the service sector continued to expand in May, the ISM's survey of those firms showed many held back on hiring. Service firms have been the main source of job gains in the past several months. The biggest measure of the economy's health comes out Friday when the government releases the May employment report. Economists forecast that employers added 170,000 jobs, roughly in line with April's pace, while the unemployment rate remained at a four-year low of 7.5 percent.